Reading Is Fundamental is committed to a literate America where all children have the opportunities that literacy provides. Our model for impact is grounded in creating a culture of literacy for the children we serve - providing choice and access to books, as well as engagement opportunities for these children and the educators, parents, and caregivers that nurture them. Through RIF’s various programs and partnerships, we provide opportunities for children and their families to experience the life-changing impact of reading. Reading is the fundamental building block to all life’s essential skills and we invite you to explore our program options for bringing books and literacy resources to students in the classroom and your community. 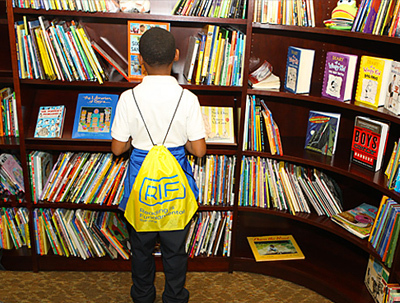 Books for Ownership, RIF’s flagship reading program, enables children to select new, age-appropriate books to take home and own and is supported by resources for parents, educators, and local literacy advocates to create a continuous focus on reading. This program enables participating children to select books to take home and own and relies on a simple yet fundamental truth, if you allow children choice and access, they will become more engaged readers and learners. Read more. Over 40 million children nationwide have had the opportunity to experience the power and excitement of this program. Explore the research that supports the Books for Ownership model, and then get started with your program. This innovative reading intervention program addresses the literacy backslide that traditionally happens during the summer months. 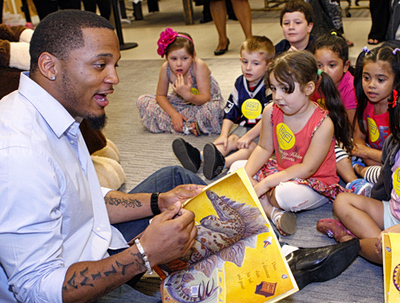 Read for Success is centered around motivating children to read by providing access to high-quality classroom book collections, summer books for students to choose and own, enriching STEAM-themed classroom activities, professional development for teachers, and parent engagement resources. Tested over two years among 33,000 students from 16 states, RIF’s Read for Success helped reverse the trend of summer learning loss for more than half the participating students. In addition, 57% of the students saw gains in reading proficiency when tested from spring to fall. Explore the research that supports the Read for Success model and view purchase information here. 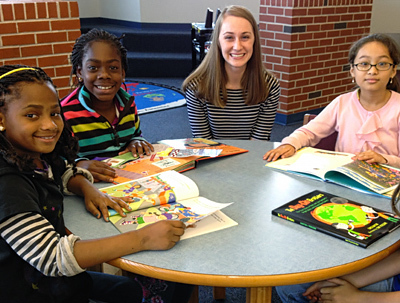 RIF’s Book Fund provides the opportunity to purchase high-quality, affordable books for the children you serve. Schools, districts, community groups and other youth-serving entities are eligible to participate in the program. Literacy Central is an online destination for teachers, parents, and literacy volunteers to get thousands of free digital resources tied directly to the books children love and teachers turn to everyday. The portal provides tools to easily organize and keep reading resources in one place with customizable book lists, printable lesson plans, activities, games, reading passages, calendars, and videos. Literacy Central is a digital library with thousands of resources tied directly to the books teachers and parents turn to everyday. Create a free account to organize all your book resources in one place, create and share book lists, find tips and strategies, and track student reading progress.